ORE than a score of years have passed since Berlioz died, in Paris, that city which was the object of his youthful dreams, the scene of his bitter struggles and his sublime defeats. It was in the midst of those Parisians, who had accorded him little more than mockery and scorn, that he had wished to die, weighed down by sadness and discouragement, supported by a few intimate friends and rare disciples. Moreover, did he not foresee that sad end when writing the following lines which subsequent events proved only too true? “ It was about that time of my academic life that I experienced again the attack of a cruel malady (moral, nervous, imaginary, whatever you like) which I will call sickness of isolation, and which will kill me some day . . . This is not spleen, though it leads to that later on ; it is the boiling away, the evaporation of the heart, the senses, the brain, the nervous fluid. Spleen is the congelation of all that, it is the block of ice. ” Therefore death was for him a blessed release. For some years before, there remained of Hector Berlioz nothing but an earthly frame, an inert and suffering body ; the moral being was crushed. The fall of The Trojans was the rudest possible shock to that nature so well tempered to receive it; hitherto the proud artist had returned blow for blow; never had a defeat, however grave, completely overthrown him. For the first time, in witnessing the downfall of the work of his predilection, the athlete had faltered. He had laid down his arms and thenceforth, weary of life and of the struggle, had contented himself with the hollow diversions which the capital offered him, “ preoccupied solely with material interests, inattentive and indifferent to that which impassions poets and artists, having a morbid taste for scandal and mockery, laughing with a dry and mirthless laugh when this strange taste is gratified. ” A certain heartache, a vague suffering of the soul, vain regrets, preyed upon him at least as much as bodily ills ; his shade alone wandered among us, dumb, taciturn, isolated and one beautiful morning in the month of March it vanished. Berlioz’s militant career may be divided into two distinct periods ; that in which he struggles for position, and which lasts from his arrival in Paris until after Romeo and Juliet and the Funeral and Triumphal Symphony, in 1842 ; that in which, tired of struggling without profit though not without glory, he starts off to establish his reputation outside the frontier, and to return afterwards to Paris, victorious and triumphant ; this lasts until his death. So soon as he achieved a success abroad, great or small, “ Be sure that Paris knows it ! ” was the cry to his friends. And Paris, being informed of it, had forgotten it instantly. It was during the intervals between these tours, when he came back to France to see if his foreign successes had given him a better standing in the eyes of his countrymen, that his last principal works were produced The Damnation of Faust, The Childhood of Christ, the Te Deum and Beatrice and Benedict, finally The Trojans. It was towards the end of 1821 that Berlioz came to Paris, ostensibly to study medicine, but with a secret longing to devote himself to music. He was then nearly eighteen years of age, being born at La Côte Saint-André (Isère), Dec. 11, 1803, and had already received some lessons in music from the poor stranded artists at La Côte. We are indebted to Berlioz himself for the names of these artists, which were Imbert and Dorant. On arriving at Paris, where his father, a simple health officer, but a devotee to the sciences and to medicine, had allowed him to come on the express condition that he should follow exactly the course of the Faculty, he set to work as best he could to carry out this program. But one evening he goes to the Opéra to hear Salieri’s Danaïdes ; immediately music regains possession of his soul, and he spends all his spare time in the library of the Conservatoire, studying the scores of Gluck’s operas ; there he meets a pupil of Lesueur who introduces him to that master, and he attaches himself with much affection to the author of the Bardes, who admits him to his class. At length he informs his family of his settled determination to devote himself to music, and he has performed at Saint-Roch a mass which he burns almost immediately after, saving only the Resurrexit which obtains grace in his sight, at least for a time. He then took part in the preparatory concours for the prize of Rome, and was not even judged worthy to be a competitor. Immediately summoned home by his parents, who had no faith in his “ pretended irresistible vocation, ” he arrived there so sad, so crushed, so misanthropic, that his father, uneasy about him, permitted him to return to try once more his fortune in Paris. He came back for the winter of 1826, having nothing to live on but a small allowance from his family, on which he was obliged to economize in order to pay back, little by little, a loan which a friend had made him for the execution of his mass. His existence at this time, which was shared by another student, his friend Charbonnel, was a very miserable one, their meals consisting on certain days of vegetables and dried fruits. He gave lessons in solfeggio at a franc a lesson, and even applied for the position of chorus-singer at the Théâtre des Nouveautés. But artistic pleasures counterbalanced the material privations, and his heart danced for joy whenever he could go to the Opéra or to the Odéon and hear some masterpiece by Spontini, Gluck or Weber ; his fourth god, Beethoven, was not revealed to him till two years later, when Habeneck founded the Société des concerts du Conservatoire for the dissemination of the works of that prodigious genius. He continued however in the classes of Lesueur and Reicha, so that he was able to pass the preliminary examination for the concours of 1828. The subject given out by the board of examiners was a scene from Orpheus torn to pieces by Bacchantes, and Berlioz’s music was declared by the judges as impossible to be played. His only response was to prepare for its performance at the concert to be given at the Conservatoire, the superintendent of the Beaux Arts, M. de Larochefoucauld, to whom he had been recommended, having placed that hall at his disposal, notwithstanding the violent protestations of the director, Cherubini. But chance favored the self-love of the members of the Institute, for Berlioz was obliged to give up his plan, on account of an indisposition of the singer Alexis Dupont. It would have been strange indeed, if Berlioz, with his ardent imagination and brain always on fire, had allowed the romantic movement to pass by without attaching himself to it with all the fury and passion which he threw into everything. He soon became one of the leaders of the new school, poor enough in musicians, counting only himself and Monpau, whereas it abounded in writers and artists. 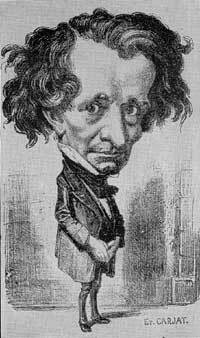 Like all his comrades in romanticism, even exceeding them all, Berlioz was an enthusiastic and constant visitor at the Odéon, where some of Shakespeare’s plays were then being given by a company of English tragedians. Here he received a double blow ; from Shakespeare who floored him, as he said, and from Miss Smithson who intoxicated him. It was to attract the attention of the beautiful tragédienne that he organized, with his overtures to Waverley and Francs-Juges and his cantata of la Mort d’Orphée, a concert which she never heard anything about. It was also this idea of reaching her through the medium of music which inspired him to write his Fantastic Symphony, in which he put himself in the scene with his beloved, and which, in fact, was to end by gaining him Miss Smithson’s heart. As these first attempts of Berlioz are little known, it is well to specify them, if for no other reason than because one may find in these forgotten pieces the plan of certain pages of the Damnation of Faust and the Childhood of Christ. His overtures to Waverley and to the Francs-Juges were performed for the first time at the concert which he gave at the Conservatoire, in honor of Miss Smithson, May 26, 1828 ; on this occasion he also had played the Resurrexit from his first mass, in place of The Death of Orpheus, which could not be given owing to the illness of Alexis Dupont, a march of the Magi going to visit the manger, and a grand scene on the Greek Revolution. Finally, on the 1st of November, 1829, he had his two overtures repeated, together with his Resurrexit under a new title, The last Judgment, and a new work entitled Chorus of Sylphs, the plan of which is as follows : “ Mephistopheles, in order to excite in Faust’s soul the love of pleasure, assembles the sprites of the air and bids them sing. After a prelude on their magic instruments, they describe an enchanted country, the inhabitants of which are intoxicated with perpetual delights. Gradually the charm operates, the voices of the Sylphs die away and Faust, fallen asleep, remains plunged in delicious dreams. ” Everybody knows to-day what this adorable bit has become. In the meantime Berlioz obtained the “Prix de Rome” in July, 1830, after having tried for it four times in vain. He set out at once for Rome, first giving, however, a farewell concert at which was played his cantata of Sardanapalus and the Fantastic Symphony, aimed at Miss Smithson whom Berlioz execrated because of her ignorant indifference, and who, moreover, had not the slightest suspicion of his mad passion and frantic hatred. The young composer departed quite proud of his success and also of the sharp response of Cherubini who said, when asked if he was going to hear the new production of Berlioz, " I do not need to go to find out how things should not be done." He stayed in Italy nearly two years, in order to conform to the regulations of the Academy, but it was time wasted for him from an artistic point of view. With his just and profound distaste for Italian music, he was in no condition to be benefited by it. The only comfort he took was in fleeing to the country, where he strolled with his new friend Mendelssohn ; but this companionship proved uncongenial and was short-lived. He shortened his sojourn in Italy as much as possible, and as soon as the director Horace Vernet gave him leave, he returned to Paris, taking with him an overture to King Lear and the monodrama of Lelio or the Re/urn to Life, a series of old pieces worked over, which completed the Fantastic Symphony. This work he could have done just as well in Paris as in Rome ; indeed he would probably have accomplished more by remaining in Paris, instead of strolling about the country near Rome playing on his guitar and frittering away his time. On his return to Paris he felt a reawakening of his passion for Miss Smithson, who had been temporarily forgotten and patronizingly dubbed “ the Smithson girl, ” while his heart was interested elsewhere. At the time of his setting out for Rome, he had thoughts for none but the young and attractive pianiste, Marie Moke, whom he had known through his friend Ferdinand Hiller ; to her he had shown some attention, finally declaring to her his uncontrollable passion. 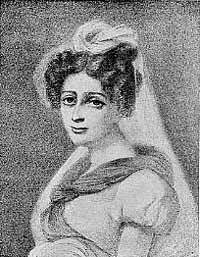 This young lady had coolly married Camille Pleyel – a name which she was to make famous as a virtuoso – while her mad lover, her pretended fiancé, was in Italy. He made haste, as soon as he got back to Paris, to organize a concert for the purpose of performing in honor of Miss Smithson, the Fantastic Symphony, and on that day (Dec. 9, 1832) he experienced a double triumph, since this masterpiece, which she believed to be inspired by herself, deeply touched the tragédienne and won her heart for Berlioz. Little did she suspect that this composition had been written with a view to stigmatize her, at the time when Berlioz was madly in love with Mademoiselle Moke, and that before going to Rome he had it played in honor of Mademoiselle Moke, as it was now being given in Miss Smithson’s honor. Meanwhile, the families of the two lovers made just opposition to their fine projects for the future ; but Berlioz and his fiancée taking the lead, strove their utmost to overcome these obstacles, and to tie the indissoluble bond which was to render them equally miserable. During all these negotiations the English Theatre of Paris was obliged to close its doors, and Miss Smithson, who had assumed direction of it, found herself without resources, not having enough to pay the debts of the enterprise. To make matters worse, she broke her leg while getting out of a carriage, in which she was going about to organize a benefit concert. While she was confined to the house by her accident, Berlioz had the customary “respectful summons” to make to her family1,and as soon as she was well he married her ; “ she was mine, ” he said, “ and I bade defiance to every thing ! ” The young household was not rolling in wealth ; the wife had nothing but her debts, and the husband had but three hundred francs which a friend had lent him. No matter, even a sad life is not without its sunshine. Berlioz was obliged to have recourse to his pen, and began to write for the newspapers through sheer necessity, a thing which he had hitherto done through love of controversy and in self-defence. His first appearance in literature was made in 1829 in the Correspondent, with a pretty well developed article on Beethoven, whom the artists and amateurs of Paris were just beginning to know, thanks to Habeneck and his Société des Concerts at the Conservatoire. He also furnished some articles to the Revue Européenne and the Courrier de l’Europe ; finally, that influential paper, the Gazette musicale de Paris, which in 1881 ended a glorious career of forty-seven years, espoused Berlioz’s cause, and worked faithfully for his success. Shortly after, in 1835 he allied himself with the Journal des Débats as musical critic, a post which he held for thirty years, finding in its proprietors, MM. Bertin, staunch friends and protectors. Besides giving him a comfortable living, Berlioz’s articles served him at first in establishing relations with the press, as much as they injured him later by exciting bitter jealousy and enmity. It was in the midst of financial difficulties that Berlioz wrote the symphony Harold in Italy, inspired no doubt by his own excursions in the vicinity of Rome. In this he introduced a viola part for Paganini, but the part was too much subordinated to the orchestra to suit the great violinist, who desired a veritable concerto with a simple orchestral accompaniment ; fortunately Berlioz did not give heed to this demand. The performance of Harold (Nov. 23, 1834) made Berlioz known to connoisseurs, and soon after M. de Gasparin, Minister of the Interior, ordered of him a Requiem for the anniversary service of the victims, not of the Revolution of 1830, but of the Fieschi outrage. This Requiem did not reach its destination, but was performed at the celebrated service in the church of the Invalides, Dec. 5, 1837, for the French soldiers and General Damrémont, killed at the siege of Constantine. The year 1842 was an important date in Berlioz’s career. From that time his life was a divided one. Misunderstood in his own country, disheartened by his unsuccessful attempts to win the heart of the great public, inconsolable for the failure of Benvenuto which closed to him forever the doors of the Academy of Music, he resolved to undertake an artistic tour through Europe, and began with Belgium in the latter part of the year 1842. He met with rather more success there than in France, though he was still the subject of heated discussion. He took with him a decidedly mediocre singer, Mademoiselle Martin Recio, who had made a failure at the Opéra, and had managed to attach herself to him. He married her later, soon after the death of Miss Smithson, from whom he had been separated ; but he was no happier in his second marriage than in his first ; his first wife drank, his second made unjustifiable pretensions as a singer, which always exasperated him. After this little excursion to Belgium, Berlioz determined to try his fortune in Germany, where already some of his works had found their way ; from this time onward, his life was nothing more than a series of journeys through France and foreign countries. His first grand tour was through northern Germany. At Leipsic he saw Mendelssohn, whom he met on the best of terms, forgetting all about their youthful quarrels ; at Dresden he inspired an equal devotion on the part of Richard Wagner, who received him as a brother and treated him as a master ; at Berlin he was no less warmly welcomed by Meyerbeer, who recruited the necessary artists for him and enabled him to direct a part of his Requiem. On his return to Paris he organized, first, a monster festival at the Exposition of the Products of Industry, in August, 1844, then four grand concerts at the Circus of the Champs Elysées, early in 1845 but these gigantic concerts which it had always been his aim to direct, brought him no profit. Not discouraged by this, however, he gave grand concerts at Marseilles and at Lyons, the modest success of which was due partly to curiosity, partly to surprise. After that he went to Austria, Bohemia and Hungary ; this tour was scarcely finished when he rushed off to Lille to organize a grand festival there on the occasion of the inauguration of the Northern railroad. Finally in the summer of 1846 he returned to Paris, and after having given a magnificent performance of his Requiem in the Saint Eustache church, he decided to bring before the public his most important work, The Damnation of Faust. The first performance took place on December 6, before a small audience. The solos were sung by Roger, Herman Léon, Henri, and Madame Duflôt-Maillard, who had no better comprehension of the music than the public. The second performance was given on Sunday the 20th, before an equally small house, with a tenor who had to omit the Invocation to Nature. This convinced Berlioz that he was still far from having conquered his own country. He departed for Russia, deeply wounded by the indifference of his countrymen. Some of his Paris friends had clubbed together to furnish him the means to go to St. Petersburg, whence he had received some brilliant offers. He achieved the greatest success there, with musicians as well as with the public, and the fact of his having formerly befriended Glinka at Paris had its effect in enlisting sympathies for him in Russia. On his way back he stopped at Berlin, where the Damnation of Faust was given with little enough appreciation, but where he received recognition from the sovereign and the princess of Prussia. When he got back again to Paris, crowned with laurels, and with money enough to settle all the debts incurred by the performance of the Damnation of Faust at the Opéra Comique, he worked hard to get the appointment at the Opéra of Duponchel and Roqueplan, who were talking of an immediate revival of Benvenuto Cellini, of mounting la Nonne sanglante, etc. Berlioz succeeded in getting them nominated directors, through the aid of the Bertins, but they no sooner had the official notice in their pockets than they utterly ignored Berlioz. The latter understood that he was holding a restraint upon them ; and since, as he said, he was accustomed to this sort of proceedings, he took himself off to London in order to rid them of his troublesome presence. The affair of the Drury Lane concerts, unwisely entered into with the eccentric conductor Jullien, terminated in bankruptcy, and the Revolution which followed in 1848 would have left Berlioz without a sou had not Victor Hugo and Louis Blanc obtained for the sworn disciple of the romantic school the humble post of librarian at the Conservatoire. 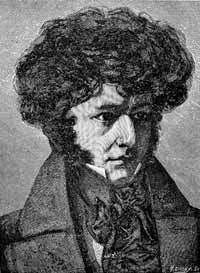 In August 1848, Berlioz experienced one of the keenest sorrows of his life in the loss of his father. He went to Grenoble to attend his father’s funeral, and in his Mémoires he gives a most touching account of the sad visit. It was about this time that his little Chœur de Bergers was given under the pseudonym of Pierre Ducré, at the concerts of the Philharmonic Society, Saint Cecilia hall, Chaussée d’Antin. 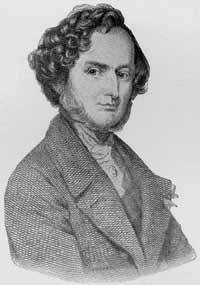 In 1852 his Benvenuto was given with great success at Weimar under the fervent direction of Liszt, but the next year the same opera utterly failed in London, where the Italians, said Berlioz, conspired to ruin it. By “Italians” Berlioz meant the orchestral conductor Costa and his party. 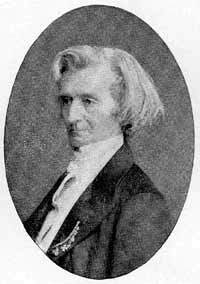 Berlioz had accepted the preceding year the leadership of the New Philharmonic, and had made by his success, and attacks, a bitter enemy of the leader of the old Philharmonic Society. After the Empire had been restored in France, Berlioz would have liked to see reëstablished in his own favor the high position which his master Lesueur had occupied under the first Empire ; but all that he obtained was the privilege of performing a Te Deum, which he was holding in reserve for the coronation of the new sovereign, and it was Auber who was appointed master of music of the Imperial Chapel. In December, 1854, his sacred trilogy of the Childhood of Christ, completed and remodelled, was given with great success, and if it was performed but twice, it was only because Berlioz, – he had taken great care to announce it in advance, – was on the point of departing for Gotha, Weimar, and Brussels, where there was great eagerness to hear this new work. He returned to Paris the following March, and on the evening of April 30, 1855, the day preceding the Universal Exposition, he gave in Saint Eustache church the first performance of his grand Te Deum for three choruses, orchestra and organ. Afterwards when it became a question of engraving it, Berlioz was able to see how greatly he was admired in foreign lands, for the first subscribers were the kings of Hanover, Saxony, Prussia, the emperor of Russia, the king of Belgium and the queen of England. The following year he published a final and much enlarged edition of his excellent Treatise on Modern Instrumentation and Orchestration, originally brought out in 1844 ; he dedicated this work to the king of Prussia. On the 21st of June, 1856, after four tours de scrutin, he was nominated member of the Académie des Beaux-Arts, replacing Adolphe Adam, who had refused to vote for him two years before and had helped to form the majority in favor of Clapisson. The following years were spent by Berlioz in organizing concerts at Weimar and in England, and above all in the composition of the great work on which he built his supreme hope of success in France, his tragedy of Les Troyens. Since 1856 he had been invited every year to Baden by Bénazet, contractor for the gaming tables, to organize grand concerts for the benefit of the visitors. Thus when the king of Baden, as Bénazet was called, concluded to build a new entertainment hall, it occurred to him at once that it would be a fine idea to get Berlioz to write something for its inauguration, and the latter, from the first mention of the subject, felt a reawakening of the desire which had been haunting him for thirty years, to write a comic opera, at once sentimental and gay, on certain scenes arranged by himself after Shakespeare’s comedy Much Ado About Nothing. He acquitted himself of this agreeable task by fits and starts ; the performance of the work at Baden took place three days sooner than he hoped, and the success was great enough with that cosmopolitan audience, in which the French predominated, to find an immediate echo at Paris. The following year Mesdames Viardot and Vendenheuvel-Duprez sung the delicious nocturne which closes the first act. For an instant Berlioz indulged in the hope that they were going to play his bit of comedy at the Opéra Comique, and in this fond hope he wrote two more things and had them engraved ; but he was soon obliged to recognize that it would be impossible with such a director as Emile Perrin, and so thought no more about it. Besides, he was entirely occupied with his dear Troyens and the production of this beloved work absorbed his every thought. In 1857 he was all in the heat of the composition ; he talked about his antique tragedy to M. Bennett, to Auguste Morel, to Hans von Bülow ; in default of the music he read his poem at the salons, sometimes at M. Edouard Bertin’s house, sometimes at his own, and everywhere he received the warmest congratulations. At a soirée at the Tuileries, the Empress spoke to him at length in regard to it, and immediately he proposed to read his poems to the sovereigns if the Emperor could find an hour to give him, but not until three acts were completed, so that they might order the immediate study of it at the Opéra. Alas, the Emperor, unlearned in matters of music, did not respond favorably to Berlioz’s demands ; he took no notice of his poem, and did not give the longed-for order to mount Les Troyens at the Opéra. But while Berlioz was chafing with impatience at seeing La Favorite and Lucie, translated by Alphonse Royer, played over and over again, and Halévy’s La Magicienne and Félicien David’s Herculanum pass him by, the Emperor, through the solicitations of the princess Metternich, opened the doors of the Opéra to Richard Wagner, and decreed that his Tannhäuser should be given with great pomp and magnificence. The blow was a cruel one, and Berlioz, beside himself with rage and disappointment, attacked this unexpected rival and his opera with a fury that knew no bounds. He did not understand, unhappy man, that his cause was closely allied to that of Richard Wagner ; the public, influenced by such critics as Scudo, Jouvin, Lasalle, Azevedo and Chadeuil, was equally hard on both of them and classed them together as a couple of dangerous madmen ; no distinction was made between the two. The fall of Tannhäuser, towards which Berlioz had worked with all his energies3, resulted in closing to him the stage of the Opéra, and it also assured in advance the unpopularity of les Troyens with the public ready to extol or condemn the two innovators without discrimination. Moreover he saw Gounod, Gevaert and many others gain access to the Opéra in preference to himself. At last quite worn out with disappointment, Berlioz decided to accept the offers of M. Carvalho. This manager had just reopened the Théâtre Lyrique and wished to make a great hit in order to obtain from the government a subsidy of a hundred thousand francs. But it was no longer a question of playing the whole of les Troyens at the Théâtre Lyrique ; they would content themselves now with playing the first three acts4, subdivided into five, under the title of les Troyens à Carthage. The first part of the work Berlioz had published as la Prise de Troie, but he never heard it performed. Les Troyens à Carthage was given at the Théâtre Lyrique Nov. 4, 1863, and scored a failure5, although nothing particularly hostile or unpleasant occurred on the opening night ; the poor author even entertained faint hopes of future success. It was the cumulative effect of the scornful articles in nearly all the large newspapers, the ridicule of the smaller press and of the theatrical parodies, above all the absolute indifference of the public, leaving his cherished work to drag itself miserably through a score of performances, that disheartened Berlioz and killed him. His whole life, indeed, had hung upon this last hope of success, and with the conviction of genius, at the close of the general rehearsal he had exclaimed with tears coursing freely down his cheeks, " It is beautiful, it is sublime !" He retired to his house and lived there, taciturn, desolate, seeing only a few chosen friends who tried to console him, and cared for like a child by his mother-in-law ; he had buried his second wife (June, 1862) by the side of the first, in Montmartre cemetery. Thanks to the income from his compositions he was able to give up his post of musical critic of the Débats, which had become insupportable to him, and was made an officer of the Legion of Honor. He had been a chevalier for twenty-four years, having been appointed by M. de Gasparin in 1839, six months before the performance of Romeo and Juliet. At Paris he found some consolation in listening to selections from the Childhood of Christ at the concerts of the Conservatoire, and in seeing people give serious attention to his compositions and sometimes applaud them heartily, at the Popular Concerts recently founded by Pasdeloup. Only two or three times did he consent to go out of France ; once to direct the Damnation of Faust at Vienna, whither he was invited by Herbeck, court capellmeister ; once to conduct the Harold Symphony at Cologne by the invitation of Ferdinand Hiller ; finally to St. Petersburg at the very urgent solicitations of the grand duchess Helen, an enthusiastic admirer of his works. But on the eve of his departure he learned of the death of his son Louis in a distant country. It was a terrible blow to Berlioz, who was devotedly attached to this son, a frail, dissipated youth, always discontented with his lot, and little more than a source of anxiety to his father. He set out for St. Petersburg with a broken heart, and though overwhelmed with successes and triumphs, entertained and received like a friend by his young admirer, the grand duchess, he felt his health failing and his strength leaving him day by day. On his return he went south, thinking that the Mediterranean might have a beneficial effect upon his health and spirits ; but twice while walking on the beach, once at Monaco, afterwards at Nice, he was attacked with vertigo, and fell fainting to the ground. He returned to Paris, and at the end of two months believed himself cured of these fainting spells, but the nervous trouble increased daily. He still had desire and strength enough left to drag himself to Grenoble in August, 1868, to attend a musical solemnity at which he was made honorary president by his colleagues, who were proud of him at last. This was the end ; on Monday morning the 8th of March, 1869, Hector Berlioz quietly and painlessly breathed his last. Just a year later the conversion of the public to Berlioz’s music was accomplished by means of a grand festival at the Opéra in honor of the master, organized by his disciple Ernest Reyer. Even up to this time it was possible to hear Berlioz’s music only at the Popular Concerts, and then often in the midst of confusion and protestations. The announcement of this concert gave rise to many pleasantries, and people agreed, with nods and chuckles, that the best way to pay honor to such a man was to play music as unlike his as possible. However, the festival took place on the day appointed, with a program made up entirely of the master’s works, and some of the pieces, such as the Waltz of the Sylphs,and the Hungarian March, caused the liveliest surprise. They had come to laugh and they listened ; they even applauded, and better than with the tips of their fingers. This was the signal for a reaction, and from that day the sudden change of opinion was only intensified as the musical public, who had hitherto, tolerated only a few selections, familiarized themselves with the superb creations of this master and insisted on hearing successively all his complete works. His wonderful La Damnation de Faust in particular, so little appreciated at first, finally had an amazing success and an irresistible attraction for the crowd, perhaps because the result was assisted by two or three concert performances. But there is nothing half-way about a French audience, it has no lukewarm sentiments, and it praises as immoderately as it condemns. Having once taken the stand, it accepted and applauded everything from Berlioz’s pen, and when it had exhausted mere bravos, it easily persuaded itself to erect a monument to his memory. First it was a question of a simple bust to be placed upon his tomb in Montmartre Cemetery, then it was proposed to erect a statue to him in his native city ; but Paris did not wish to do less than [La] Côte-Saint-André, and so it happened that Alfred Lenoir’s statue of the composer was erected in Vintimille square near the rue de Calais, the quarter where he spent a long period of his life and where he died. An exact duplicate of the statue was erected at [La] Côte-Saint-André in 1890, and surely two statues are not too many to honor the great artist of whom Auber said with a little spice of wickedness, – “ Yes, this Berlioz is certainly worth something, but what a pity that his education began so late. ” To-day Berlioz is at the topmost height of fame, and this renown he has achieved by one work. To the whole musical world he is the composer of La Damnation de Faust, and neither Roméo et Juliette, nor L’Enfance du Christ, nor the Requiem, each a masterpiece in its way, has obtained the wide-spread success of the first-named work. It is singular that a purely orchestral composition, La Symphony Fantastique, should be accorded a second rank in the general judgment. Strictly speaking, this symphony and La Damnation present, outside the music written by him for the stage, the quintessence of Berlioz’s genius. They are the two poles between which his affluent inspiration oscillates. In the former of these scores is to be found all the romantic exuberance of youth ; the fury of a latent rebellion against discipline and yet wholly master of itself ; a dazzling wealth of instrumentation ; a poetic and delightful coloring. In the other, of which the style is more varied, burst forth a passion, an irony, a burning heat, a prodigious intuition of the effects of vast numbers, a fantastic raillery, a power of dramatic expression without equal. It is none the less true that genius radiates from many pages of his other works : the Pilgrim’s March in Harold ; the Offertory and the Tuba Mirum in the Requiem ;the Repose of the Holy Family in L’Enfance du Christ ; the Night of the Ball, and the Love Scene from Roméo et Juliette ; the nocturne-duet from Béatrice et Bénédict ; the love-duet, the quintet and the septet in Les Troyens are all bright inspirations among creations of the highest worth, that met with great favor, although the works of which they are a part had not the power to win the masses as they were won by La Symphonie Fantastique and La Damnation de Faust. These last gratify the public taste (using the term in its broadest acceptation) because they are not merely concert music, but have a close affinity with the stage, in the dramatic stories they illustrate. I believe that the minute descriptive programme which Berlioz has attached to La Symphonie Fantastique has been largely instrumental in assuring the success of this work with a public that mentally follows the imaginary drama, step by step as the orchestra depicts the various episodes ; now melodramatic, now rustic, now loving, sanguinary and demoniac. Such is still more the case with La Damnation de Faust. Berlioz’s work has certainly benefited by the attention drawn to Goethe’s poem by M. Gounod’s opera ; the great mass of the public knew nothing of the original when La Damnation was first heard by them in 1846. Nowadays music-lovers everywhere are equally well informed on this point ; they understood, from the time that the opera was given, the meaning of what was recited to them by Berlioz’s singers, clad in black dress suits and white neckties ; they filled in the gaps in his libretto from what the opera of Faust taught them ; they compared number with number ; in fact, by reason of placing side by side two works so widely unlike each other, they learned to appreciate the warm, passionate and magnificent power of Berlioz’s older composition. Thus little by little this product of genius has forced itself on general admiration as the model on which Gounod’s Faust was planned. It is no exaggeration to proclaim La Damnation de Faust a work of genius, and it excites all the more admiration when we know that certain numbers, among others, the scene in which Faust is lulled to sleep by elfins, came from the brain of a composer only twenty-five years old, and appeared almost perfect in the Huit scènes de Faust which Berlioz published in 1829, not being able to have it performed, and which he dedicated to M. de Larochefoucauld. This fine scene, therefore, dates back to 1828, as does the beautiful song La Fête de Pâques and also the joyous rondo sung by the peasants. In fact, not only the grand choruses, but the shorter pieces, the songs of Le Rat and of La Puce ; the ballad, Le Roi de Thule ; the romance of Marguerite, joined arbitrarily to the soldiers’ chorus and La Sérénade du diable are all fragments of his youthful work that Berlioz retained in the score of his maturer period and had the skill to combine anew in several scenes of extraordinary poetic beauty and richness of effect. How inspired the pretty rustic scene into which he has inserted, judiciously or otherwise, his admirable Rakoczy March, written to gain the good will of the Hungarians ; the superb monologue of the doctor, introducing the Easter chorus ; the animated scene at the Auerbach tavern with its bizarre songs and the ironical fugue on the word Amen ; the marvellous scene on the banks of the Elbe with the fine appeal to the demon ; the delightful slumber chorus of the spirits and the exquisite ballet of the sylphs ; the double chorus of students. Does it not seem that they were all conceived, composed and written down at a white heat and without a pause between them? How fascinating and impressive appears the really devilish serenade of Mephisto, the charming Menuet des Follets after the ecstatic air of Faust, the archaic ballad of Marguerite, the extremely tender love-duet, and the grand final trio with its chorus of neighbors. The last part is, from beginning to end, absolutely above criticism. It opens with Marguerite’s sad lament interrupted by the chorus of students and leads up to the sublime invocation of nature ; to the fantastic path of the abyss ; to the lovely song of Seraphim after the furious suggestions of hell. What a splendid culmination ! Surely La Damnation de Faust is a masterpiece ; but Roméo et Juliette is another and should have enjoyed as great a success. That it did not is perhaps owing to the fact that in Berlioz’s symphony, vocal music has only a small place, the instruments alone translating the sentiments of the characters, the two not being in juxtaposition as they are in many of the familiar operas of Romeo and Juliet by Gounod and others which ought to have led to an appreciation of Berlioz’s score. The seven movements that form this composition are all of marked worth and are appropriate to the strange plan of the work. In the first place, the prologue, imitated from Shakespeare, and of which M. Gounod, later, adopted Berlioz’s idea, presents a résumé of the work at once complete, grand and delightful, and comprises the fine verses that Berlioz, strangely enough, caused to be sung by a Muse in honor of Shakespeare and Poetry. The opening part includes three incomparable numbers : the poetic and piquantly agitated revery of Romeo wandering in the garden during the ball ; the love scene between Juliet and Romeo, a masterpiece of orchestration ; the Queen Mab movement, a model of fantastic airiness ; also three numbers in the second part, the funeral of Juliet, with its penetrating sadness ; the death of Romeo, in which Berlioz has given free rein to his passion for descriptive music, and the oath of reconciliation, preceded by a stirring recitative and the noble prayer of the monk. These are so many magnificent fragments, which, placed side by side according to the composer’s design, form a creation of a wholly superior order. After Faust and Romeo, comes the Requiem, – another triumph ; a romantic composition of the first class, written with feverish enthusiasm by a master who rather sought to paint a striking picture to each line of the Requiem than to probe to the literal sense of the Latin text. The Kyrie is the least eccentric and the most expressive number. The Tuba Mirum, in particular, produces a tremendous effect with its four orchestras of brass ; an idea that Félicien David and Verdi borrowed from this. Berlioz has given to the Lacrymosa a searching pathos. Perhaps the finest movement in the work to which Schumann rendered such ample justice, is the Offertorium. The requiem ends with a Sanctus for tenor solo, seraphic in sentiment, followed by a beautiful Agnus and a lovely, unfugued Amen. It is fitting to bring together, for comparison, this composition and the Te Deum written about 1850, of which the finest page is the hymn of the seraphim, Tibi omnes angeli, that rises to a magnificent crescendo and dies away at the close on a long and distant chord of the organ. The prayer for tenor solo, Te ergo quœsumus is equally perfect, and the final chorus is a majestic number to which Berlioz has attached a brilliant and thrilling triumphal march for the "presentation of flags." It recalls by the vastness of its proportions and its orchestral massiveness, his Symphonie funèbre et triomphale, so much admired by Richard Wagner, and of which the peroration, entitled Apothéose, forced a flattering exclamation of praise from even the savage Habeneck. The Symphonie Fantastique, to return to the most applauded work of Berlioz, after Faust, is one of the most bizarre eccentricities ever hatched in a composer’s brain ; but it is also one of the most impressive. The first movement, Rêveries-passions, at once so sad and tender, is, however, excelled by the Scène aux champs, which soothes and charms us with its peacefulness. It is the most inspired movement of the symphony. Le Bal and the Marche au supplice are aflame with the extraordinary verve of the composer, who, taking motives that are neither very striking nor very original in themselves, develops them with extraordinary power, and with such fullness that each movement attains an almost incredible expressiveness. Though in the Songe d’une nuit de Sabbat, the Dies Irae is burlesqued and degraded by the mocking accents of the piccolo, the tinkling of bells, the bellowing of ophicleides, yet this last part produces an irresistible effect and drags the hearer along in the train of the hellish turmoil. In Harold en Italie Berlioz pushes this seeking for extremely varied tone-colors, and unexpected contrasts, and curious surprises for the ear so far, that he frequently falls into excess. The fine Marche des Pélerins has eclipsed the other portions of the symphony, but the first movement, Harold aux montagnes, is full of poetic melancholy, and the Sérénade d’un montagnard, breathes a tranquil peace with which the fiery and tumultuous Orgie de brigands forms a powerful, nay, almost exaggerated contrast. In the exquisite religious legend L’Fnfance du Christ, and the graceful opera comique, Béatrice et Bénédict we make the acquaintance of a Berlioz tempered by age and who no longer seeks to " make a noise in the world." The second part of his oratorio-drama La Fuite en Egypte, is universally known through its delightful chorus of shepherds and its lovely tenor recitative ; there is also much charm in the first duet of Mary and Joseph as they watch over Jesus. The third part includes a powerfully dramatic scene in which the fugitives knock in vain at every door, followed by a patriarchal scene with the beautiful phrase of the father of the family welcoming Jesus, and the trio, with two flutes and harps, of young Ishmaelites. This is music that delights the world. It is the same with the famous duet-nocturne in Béatrice et Bénédict, whose beauty dwells in the opening strain of Hero’s air, and in the splendid andante, à la Gluck, sung by Beatrice. What gaiety, perhaps a little forced now and then, emanates from the mocking duet between Beatrice and Benedict ; from the trio of men and the trio of women. What exquisite sweetness there is in the Chant d’hyménée heard from afar ; what verve in the piquant rondo sung at the close by the reconciled lovers Benvenuto Cellini, a work that has never been revived, is not one of the finer achievements of Berlioz ; in it we meet too many concessions to the virtuosity of the conventional opera prima-donna, but it is pervaded by a spirit wholly youthful, set off by sparkling instrumentation. The trio of the first act, and the sad air of Teresa ; the grand quartet in the Place Colonne with its different themes ingeniously blended and strongly marked ; the couplets of Ascanio ; the narrative air of Cellini ; the scene in which the poltroon Fieramosca simulates a duel ; the charming love-duet between Teresa and Cellini, – here, indeed, are page after page of limpid melody that delight their hearers, as did the opening brilliant overture with the following long carnival scene, which reproduces with extraordinary effect the mutterings and rumblings of a crowd. This is, in truth, the climax of the work. To this opera must be joined the overture, Le Carnaval Romain, written later by Berlioz, and perhaps the most beautiful of his isolated overtures. In any case, it is that which has had the greatest success, eclipsing the overture, Les Francs-Juges, even in Germany where it was at first so much applauded, as well as the overtures, Waverley, The Corsair, and King Lear, the last, though so expressive, having never enjoyed equal favor with Le Carnaval Romain. The tragedy Les Troyens, imitated from Virgil, marked the return to first principles made by Berlioz when maturity had calmed the effervescence of youth and the ebullition of middle age. It was taken up again in a moment of classic aspiration and shows how much the teachings of Lesueur influenced him. La Prise de Troie and Les Troyens à Carthage, separate works, but performed together for the first time at Carlsruhe in December, 18706, are of equal worth and of a superior order. In La Prise de Troie the despairing appeals of Cassandra, the tender replies of Corèbe ; the fiery choruses, the ballet music, of which the local color is so appropriate ; the epic grandeur of the benediction of Astyanax by Paris7; the excited joy of the Trojan people welcoming the entrance of the wooden horse ; the woe-fraught prophecies of Cassandra. In Les Troyens à Carthage the peaceful songs of the Trojans ; the sublimely touching melodies of Dido ; the caressing responses of Anna ; Æneas’ call to arms, and the stirring orchestral scene of the royal hunt ; the third act, an unmistakable masterpiece, with its pretty dance tunes, its quintet, its incomparable septet, and its fine love-duet ; the last two acts, with the sweet plaint of the sailor, Hylas ; the pathetic farewell of Æneas and the splendid death scene of Dido, – all prove that both parts of Les Troyens must be placed in the same rank as two great works that blend into one perfect whole. Berlioz, in addition to his large symphonic and vocal works, wrote numerous detached songs with orchestral or pianoforte accompaniment. La Captive, which was greatly extended from the original sketch written in Italy ; Le 5 mai, a magnificent song glorifying the first Napoleon ; Sara la baigneuse, and La Mort d’ Ophélie, lovely works for two female voices ; a fine Hymne à la France ; Neuf mélodies Irlandaises, a youthful effort, inspired by the poems of Thomas Moore ; Les nuits d’été, six settings of poems by Théophile Gautier, are the most notable of this class of compositions. By adding to these the pieces collected to form Lélio ; Rêverie et Caprice, for violin solo and orchestra ; a charming Méditation religieuse, after Thomas Moore ; and a striking Marche Funèbre for the interment of Hamlet ; we have enumerated all the works of Berlioz, great and small, that are worth remembering. The true domain of Berlioz, that in which he is really king, is the orchestra. He gave an extraordinary impetus to the art of instrumentation, – even after Beethoven and Weber, on whom he leaned, – by his marvellous instinct for blending the various timbres of orchestral instruments, by his indefatigable search for new combinations of tone, by his constant effort to add to the power and the expressiveness of the orchestra in order to make it translate the most diverse sentiments, thus giving to his music a stronger relief, a more animated color. The prodigious result was, that he almost recreated the art of orchestration, opened a new horizon to it, and therefore deserves the title of the French Beethoven. Is it not also astonishing that his genius, audaciously innovating in regard to instrumentation, exercised an influence not only on all those musicians who began their career after his success was established, but on others who were his elders by age and reputation, such as Meyerbeer, or somewhat younger, such as Richard Wagner? These two composers, not the least able of their day, having heard the works of Berlioz at a time when very few took him seriously, had an intuition of his worth and from the very first felt instinctively even more than Schumann, that it was necessary to respect this young man gifted with such extraordinary imagination. Thenceforward Meyerbeer, one of those rare musicians, be it said to his honor, who feel a concern for other creations than their own, took a lively and permanent interest in all that Berlioz produced. Wagner, on his side, admitted to friends that he no sooner reached Paris than he made a profound study of Berlioz’s instrumentation ; that he had since reread his scores many times, and that he had often profited by the works of " that devilishly clever man." Moreover, from 1841, he regarded Berlioz as a musician filling a place of his own, mingling with none, while loving, understanding, worshipping Beethoven ; dreaming perhaps to be German in the hours when his genius urged him to write in imitation of this great master ; but unable to assimilate French love of external effect with Beethoven’s profound symphonic style ; possessing a wonderful fancy, an imagination of extraordinary energy ; torn between his artistic impulses and the tastes of his fellow countrymen, whom he wished to win ; incapable of asking or of receiving advice ; possessed of that virtue, rare even among Germans, of not wishing to write for money ; turning his back on all musical triviality ; eminently fitted by reason of these qualities and of these faults to create great works, popular or national as in the Symphonie de Juillet, the best in his eyes, of Berlioz’s works, and the only one which, to him, seemed destined to live. The portrait is pretty, and coming from the pen of Wagner, is flattering enough, save in its conclusion, which appears somewhat absurd today. But this amazing aptitude for obtaining from an orchestra more than any other composer had been able to compass, was exactly the origin of the misunderstanding between Berlioz and the public. 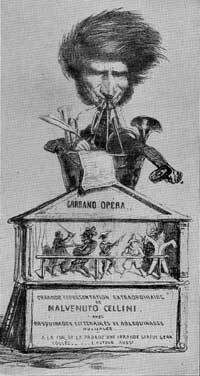 Certainly the so-called learned criticisms of the most serious journals and the chaffing of the less dignified press, contributed much to transform Berlioz, in the eye of the masses, into a species of charlatan hungry for fame and banging his drum vigorously to attract the mob ; denying him genius except for drawing attention to himself. These slurs, however, would not have taken a firm hold in the minds of their readers if the adverse criticisms had been wholly without an appearance of justice. In brief, with what did they reproach him? of lacking melodic invention and of replacing it by inextricable orchestral tangles ; of rejoicing in diabolical noise and of entertaining a positive contempt for all music except his own. Nevertheless, Berlioz was not wanting in melody. His themes, when separated from their complicated accompaniments, have even a family likeness to the romanzas of 1840 in the style of Madame Duchambage or of Blangini ; his themes, vocal or instrumental, have generally a dreamy melancholy, which seem to recall his birthplace, with its tender and tremulous songs so loved by the peasants of Dauphiny. These perfectly clear melodies, whenever he was content to give them simple accompaniments, met with instant recognition and success from the public. Among them is La Captive in its first version ; also the tenor recitative in La Fuite en Egypte. It seemed surprising that the composer of these delicate melodies should be the one who wrote such complicated music, and so the ignorant were taught that these melodic treasure-troves were wholly exceptional with this troublesome, demented and blustering composer. What repelled the public and assisted its misunderstanding on this point, were the intricacies of his deeply-studied and curiously-strange method of orchestration. In carrying out the idea that by the aid of the most varied tone combinations every shade of meaning in a piece of music can be made clear to the listener, Berlioz, imbued as he was with the teachings of Lesueur, had a tendency to overcharge the more novel touches of his musical picture, in order to indicate the secondary details with that distinctness which seemed indispensable to him. From this practice arose confusion in the mind of the inexperienced hearer, and produced cloudiness in the music from which the dominant idea could not be detached without an effort. On the other hand he gave utterance to many noble and touching thoughts with pathetic declamation, poetic and richly-colored orchestration, and impressive sonority ; essential qualities in Berlioz that are really wonderful and on which his enemies, notably Fétis, were careful not to throw light. On the contrary, they did their uttermost to discourage the public from bestowing attention on these works, and they succeeded only too well and too long. Here then is one of the causes that made amateurs rebel, on principle, against the innovations of this great composer ; but another cause, inherent in the soul of Berlioz, repelled timid people. It was his spirit of intolerance and of exclusive self-admiration. 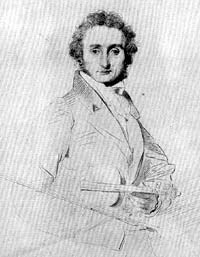 Carried along by the impulse of the time and the desire to insure victory for his art theories, Berlioz did not hesitate to attack the reputations of the most cherished idols of the hour ; therefore, whether he wrote, or whether he spoke, he indulged his natural disposition to exaggerate everything with virulent indignation, and outbursts of mad enthusiasm in support of the artistic faith that swayed him. The public did not and could not understand him, and irritated by his fierce aggressive tone, held itself instinctively on guard against the creations of this fighting innovator and stood ready to pay him the price of his contempt for it. Between a rancorous public offended by the disdain this iconoclast manifested for its tastes, and an artist who never exhausted the taunts he had in store for it, there was always an antagonism, skillfully intensified by the personal foes of the master and which ceased only at his death. Antagonism is the true word, for Berlioz in his vocal works at least never departed from the models so dear to the public. In fact, so far as opera is concerned, he remained ever the disciple and admirer of Spontini and of Gluck, without dreaming that he was destined soon to initiate a revolution in this branch of musical art. Even when, at the height of his own romantic fervor, he broke down the barriers of the symphony, there always remained in Berlioz an instinctive respect for consecrated forms ; and as soon as he passed from the concert-room to the stage he conformed in the most ingenious manner imaginable to the old methods in all his works written with an eye to the opera house. He was deliberately revolutionary in the symphony only, and that chiefly in respect to instrumentation. With this creator, endowed with a phenomenal genius in a certain way, the ideas regarding the essential conditions of musical art were so unsettled, and changed so often from one time and from one style to another, that he would have been puzzled to formulate them with any exactness. He emitted fire and flames, he hurled curses and roared bitter denunciations, but when it came to deciding the ideal that an artist should follow or the absolute principles he should adopt, he did nothing. There exists a radical difference between the two great musicians who have convulsed the musical world in the second half of this century. The later-comer, Richard Wagner, pursued a fully defined ideal, a single problem, on the solving of which he had long concentrated his thoughts and all the force of his genius, viz. : – the fusion of music and the drama. He kept steadily in this one path and brought the music-drama to the highest point it is possible for it to attain. Berlioz, on the contrary, realized at one stroke all the modifications that seemed to him desirable to fasten upon the symphony and the opera. He did not seek an integral reform, but simply wished to enrich each branch of musical art with new descriptive and picturesque elements. But while his flexible brain turned now toward the stage, now toward the church, or the concert-room, he did not deviate much from the traditional forms, though he endowed them with new and wonderful characteristics. Warmly romantic with Shakespeare, purely classic with Virgil, who were his literary deities, he was eclectic in literature as in music. The splendid lyric accents of Gluck are not in full harmony with the deep poetic and chivalric inspiration of Weber, and the lack of resemblance between Spontini and Beethoven is still more striking, yet Berlioz loved them all. It matters not that Berlioz confounded these masters in his religious admiration of them and made for himself a double personality, repudiating all rule and tradition when he wrote for the orchestra and for the concert stage, and becoming a pious observer of hallowed forms when he turned to the theatre. In his Les Troyens, the voice parts are of a wholly classic purity while the orchestra abounds in modern romanticism ; in Béatrice et Bénédict, delightful inspirations, exquisite in their poetry, are mingled with the conventional forms that Berlioz mercilessly condemned in the works of others : inexplicable vocal flourishes, repetitions of words, outrages on prosody, the clipping of rebellious words ; all this by a composer in whose eyes correct declamation was a fundamental essential of song. Such was the composer Berlioz, such the critic, and the critic was not unhelpful to the composer. In fact, all that he was in France, all that he was able to win, during his lifetime, he owed to his position as a writer for the press and as the friend of influential journalists. But he made many enemies, less by the aggressiveness of his writings than by his caustic wit. There was in him an imperative necessity to tell the public his hates and his loves, and if he did not always feel free to give bold expression to the disgust with which certain works filled him, he invariably let his contempt be seen through his polished and even laudatory phrases. At least, nobody was ever deceived. The musician in Berlioz is impassioned, now tender, now vigorous. It is the same with the writer. His style is picturesque and incisive, sometimes trivial. Side by side are exclamations of admiration and contempt ; quasi religious respect and genuinely holy anger, all equally energetic and sincere – the word and the blow. To appreciate this at its full value, it suffices to select at hazard one of the collection of articles published by himself in book form under the titles, Les Soirées de l’orchestre, Les Grotesques de la musique, in which the humorist tone prevails and A travers chants, which contains his most serious thoughts, the two volumes of letters published after his death, Correspondance inédite and Lettres intimes ; and finally his amusing and fascinating Mémoires,in which be travesties himself unreservedly and confuses somewhat the dates and facts. This book is a genuine romance. “ Berlioz, one of the most eminent musicians of all time, perhaps the most extraordinary artist in every way who ever lived. ” Thus he was characterized by M. Reyer in speaking at the foot of Berlioz’s statue. He was, truly, an extraordinary artist in every sense ; apostle and sectarian at one and the same time ; one who conceived great things and sometimes partly realized them ; who was in turn sarcastic and sentimental, emotional and passionate almost to weeping ; who nourished an intolerant worship of his art and never knew moderation in his judgments ; who was gifted with admirable creative faculties and opened new paths to the art of instrumentation ; who was in perpetual strife with the pretenders of true melody, to whom he never yielded ; who aimed to be at once as noble and as majestic as Spontini, as imaginative and as impassioned as Weber, as sweet and as tender as Virgil, as sublime and as trivial as Shakespeare, as grand and pathetic as Goethe and Beethoven, yet who knew how to be himself by force of will and loftiness of genius. Berlioz had a rare grasp of mind, and was keenly sensitive to the beauties of certain great literary works, hence the "romantic movement" in France deeply influenced him. With enormous will power and bordering on insanity, he aspired in his youthful dreams to be considered, some day, the Victor Hugo, the Delacrox of musical art, and, in some respects, his aspiration was more than realized – after he was dead ! This article has been scanned from our original 1891 copy of "HECTOR BERLIOZ", Part 22 (pp. 675-690) of Famous Composers and Their Works, edited by John Knowles Paine, Theodore Thomas and Karl Klauser, and published by J. B. Millet Company, Boston. The author, "Ad. Jullien", is probably Adolphe Jullien, author of Hector Berlioz: Sa vie et ses œuvres (Paris, 1888), a copy of which is in our collection. We have generally preserved spelling, syntax and punctuation of the original text, but have corrected obvious misprints, mistakes in personal names, errors in the titles of Berlioz’s works, and missing or inconsistent French accents. We have also drawn attention in footnotes (see below) to some of the more important factual errors. The images on this page have been scanned from the article and the sequence of their position within the text is the same as in the article. 1. Berlioz issued these "respectful summons" to his own family at La Côte Saint-André. 4. The last three acts, in fact. 5. The production was in fact a partial success. 7. It is King Priam who blesses Astyanax, not Paris. 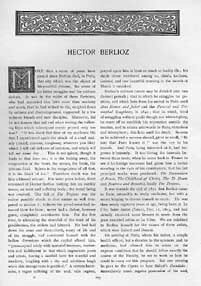 The Hector Berlioz Website was created by Monir Tayeb and Michel Austin on 18 July 1997; this page created on 20 January 2007.